All servicing and repair work is carried out strictly in accordance with Land Rover specifications, schedules and procedures. Genuine parts are always used (unless specifically requested by customer). Land Rover is now very specific about the engine oils that are used within the various engines across the entire range of their vehicles. 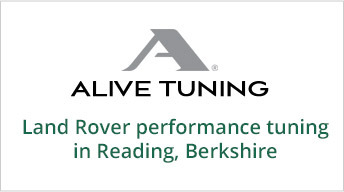 At Rovertune Ltd you can rest assured that we use the exact oil specification for each engine type. This also applies to every other lubrication fluid used within all drive train components. We do not use cheaper substitutes. Rovertune Ltd has the official Land Rover approved Diesel Exhaust Fluid (AdBlue®) dispensing equipment to administer DEF Fluid top-ups and refills to all diesel vehicles produced from 2016MY onwards. We use the very latest Land Rover Pathfinder diagnostic system to interrogate the new 2017MY vehicles (and beyond) and the official Land Rover SDD diagnostic systems for vehicles up to and including 2016MY to check vehicles and diagnose any faults (see Diagnostics page). All servicing work is undertaken to fixed price menus. Should additional work be required, the customer’s authorisation will be obtained before proceeding through our online service system (pictures can be provided) and will be carried out to an agreed price. Alternatively, customers are also welcome to come and inspect/discuss the reason for any additional work required before commencement. All work is fully guaranteed (see Warranty and Guarantee section).